As I often do on a Saturday morning I popped into @coloursmayvary to check out the latest publications and give my eyes a visual treat with the lovely prints to buy. As well as being a gorgeous shop they often have stuff going on, the other week they had old school printing machines in there and they’d been running letterpress workshops, today there was this huge mural that you could get busy on. It’s been created as part of the run up to the British Art Show which is coming to Leeds in October and will apparently feature the largest collection of contemporary art in the UK. Prior to this there will be all sorts of activities in the run up to the launch. 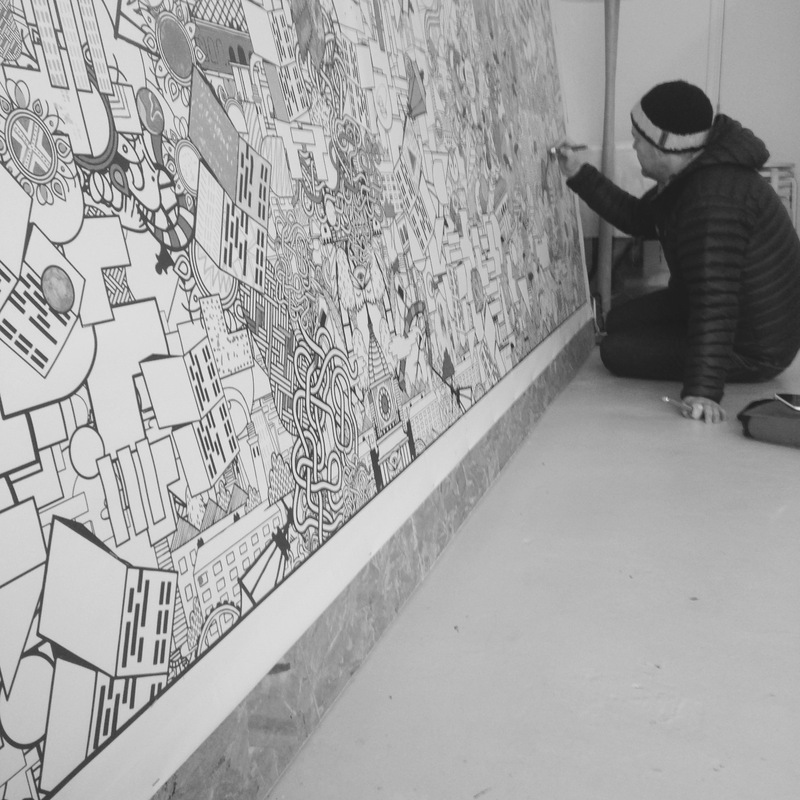 The illustration / mural above is part of the lead in, it’s been created by three artists with a Leeds connection – Lucas Jubb, Jay Cover and Kristyna Baczynski – each one of whom has created elements that have then been generated by code to produce this huge mural. Apparently this is a new process called Generative Art/Design. 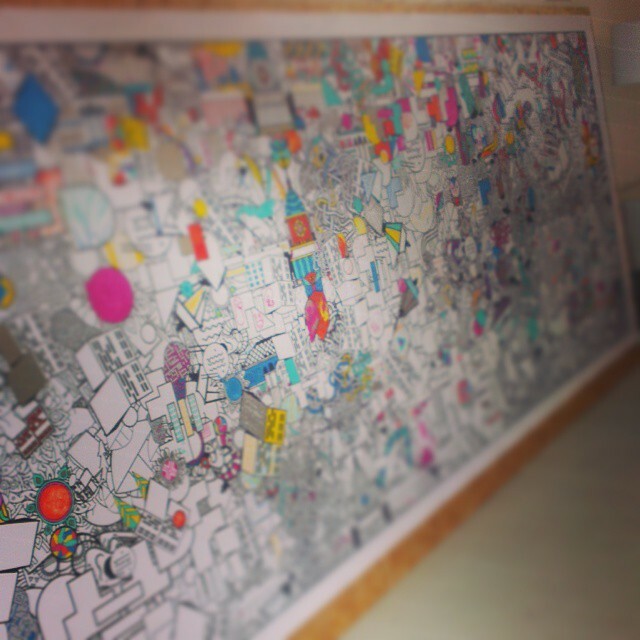 We the public can then get involved and colour in the mural and when it’s complete it will tour round Leeds in the run up to the British Art Show. 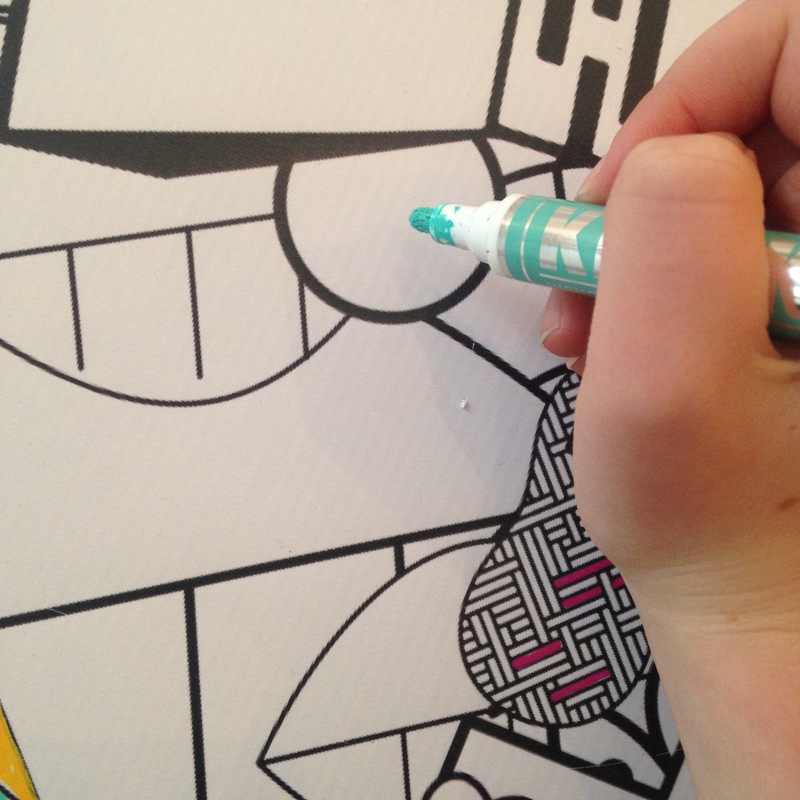 Who doesn’t enjoy a bit of colouring in ? I found it quite hypnotic to sit there grab a pen and fill bits of the mural in, as you are colouring, little bits of the city appear – The Corn Exchange, Town Hall, Broadcasting House all connected in a random fashion (presumably due to the programming code) with swirls and a myriad of different shapes. 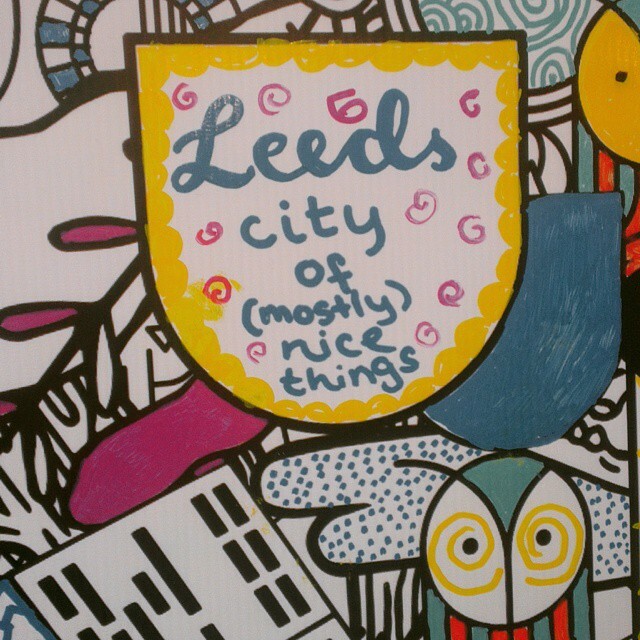 As I was trying to stay between the lines (not always successfully) it made me ponder a bit about Leeds and it’s future and perhaps this mural represents the ideal vision where technology, collaboration and interaction form the basis for the city and it’s people to thrive?